Hi, folks! 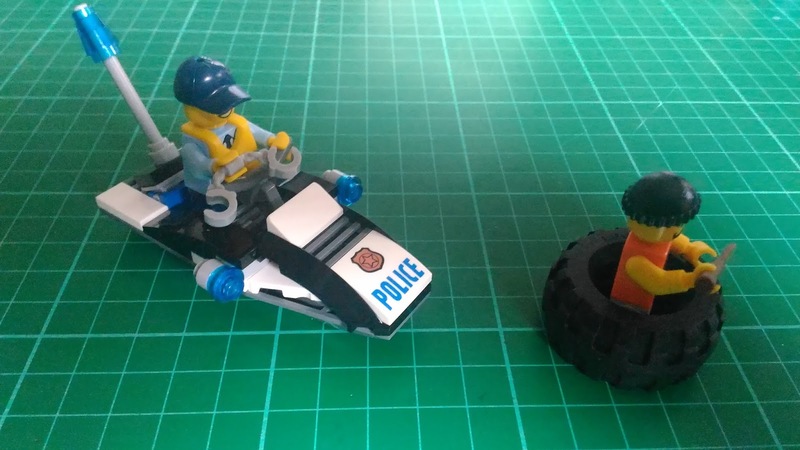 Today I'll be doing a review of Lego City Set # 60126 listed as Tire Escape. This set was an impulse buy for me. It happened during one stressful day at the office and I just had the urge to get something to calm my senses. 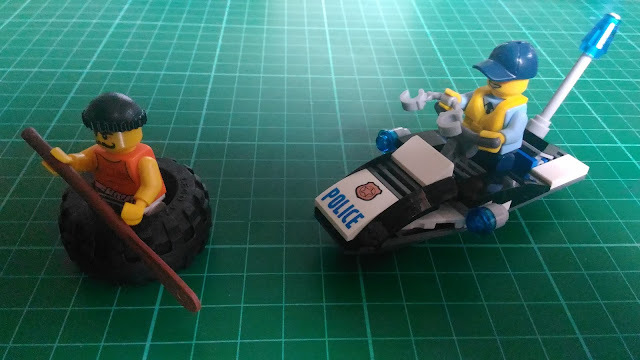 Priced at PHP499.00 (roughly USD10.00), the set includes one (1) vehicle, which is a City Police jet ski, and two (2) minifigs: a nerdy looking policeman and a muscled prisoner on the run. 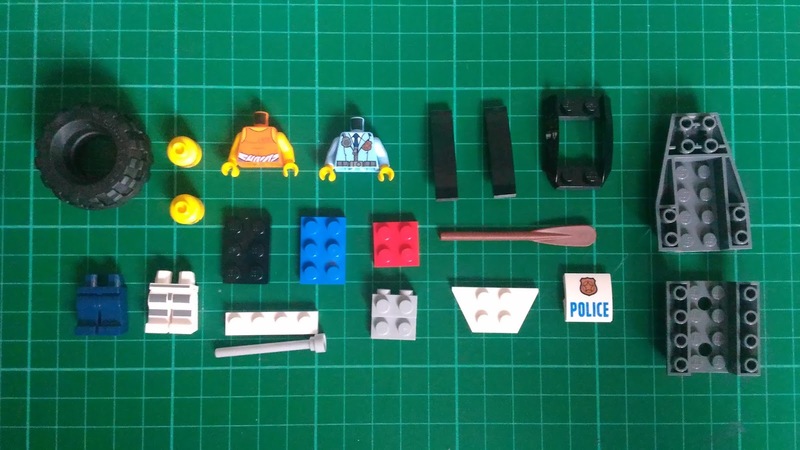 The package comes with an instruction manual and two small bags of bricks and figs. 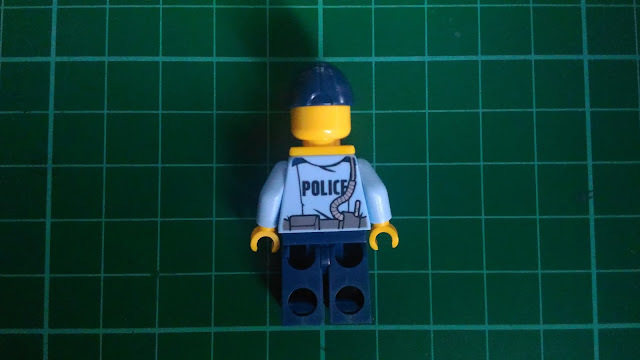 The policeman fig can be equipped with a blue hat and a yellow life vest. 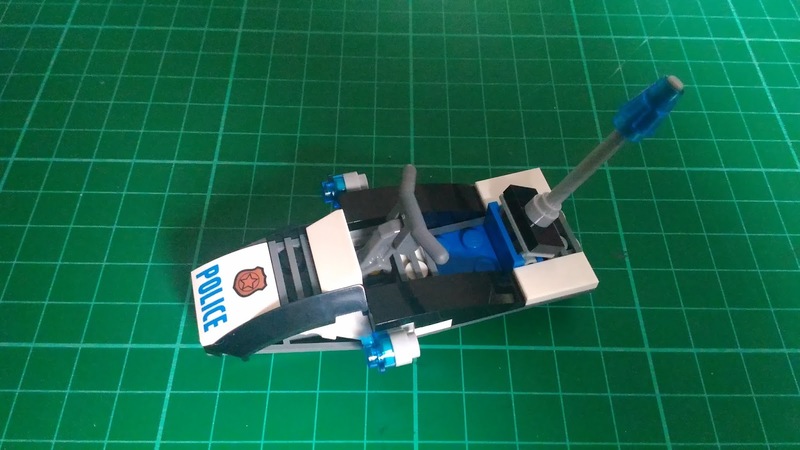 It has a geeky smile plastered on its face which is quite unusual for a member of the Lego City police department. It also has a nice print design at the back of its torso. 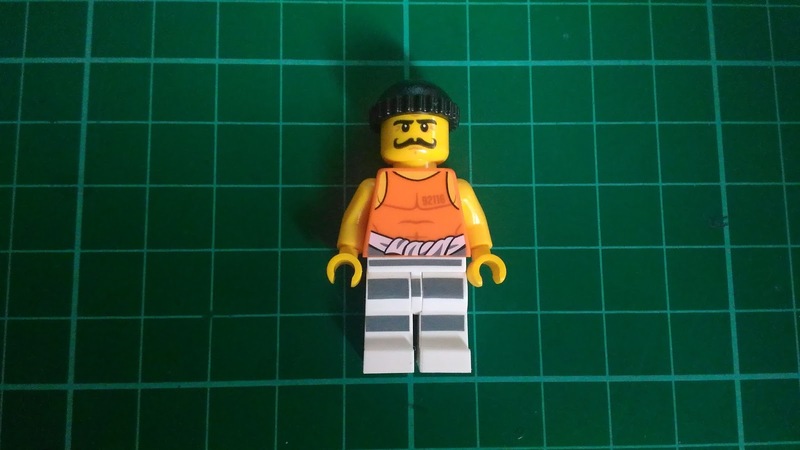 The resourceful convict who just broke out of prison has a cool design. 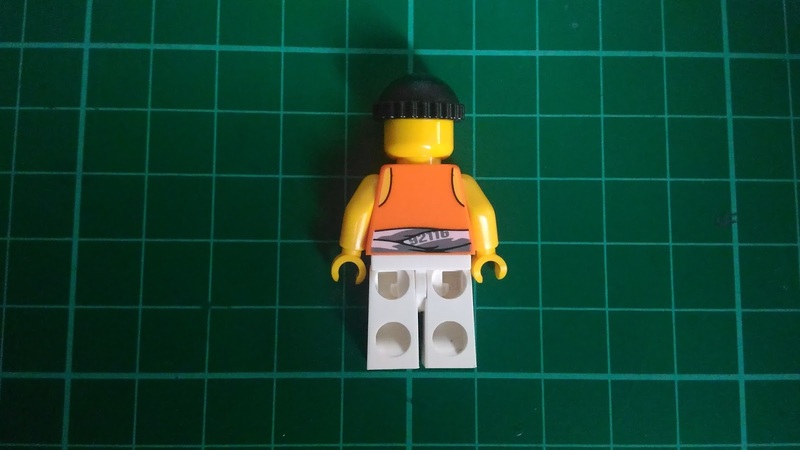 The muscled torso print gives you an impression that this guy must've spent a lot of time being locked up. Just look at how ripped those pecs are! Also, the dude's sporting a stache. I respect that. Lastly, that scowl definitely means bad news for the poor guy above. Building the jet ski was pretty straightforward which is typical for Lego sets this size. The overall design is pretty impressive given the small number of bricks included in the set. 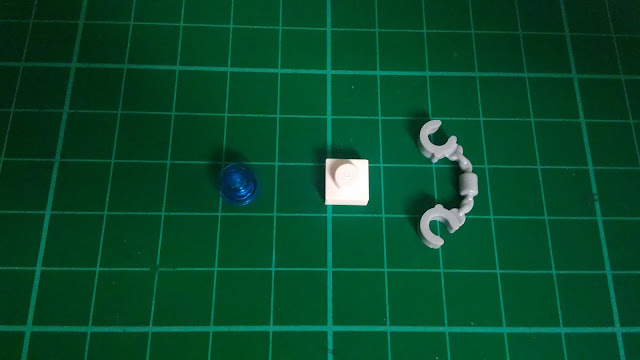 It was able to include the basic elements needed to make the whole thing look like a jet ski. By the way, the Lego PD logo is printed on the sloped tile that makes up the jet ski's bow. I personally like the vehicle's color scheme especially the use of the transparent blue pieces. The only problem I have with this set is it's quite difficult to have a fig properly stand and hold the handle bars. It's not a deal breaker though since it gets easier once you get used to it. 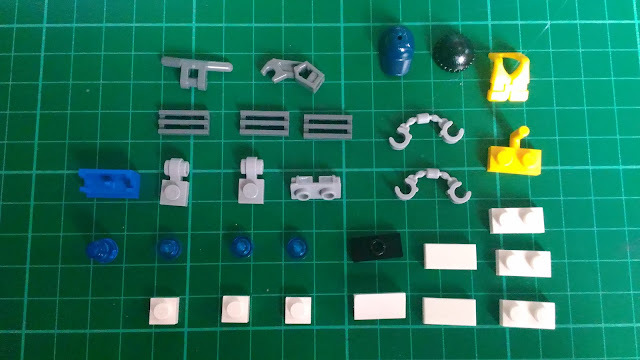 There are a few leftover bricks included in this set: 1 transparent blue stud, 1 1x1 plate and a handcuff. Overall, Tire Escape is a pretty decent kit given that it offers two figs and a well-designed police jet ski. 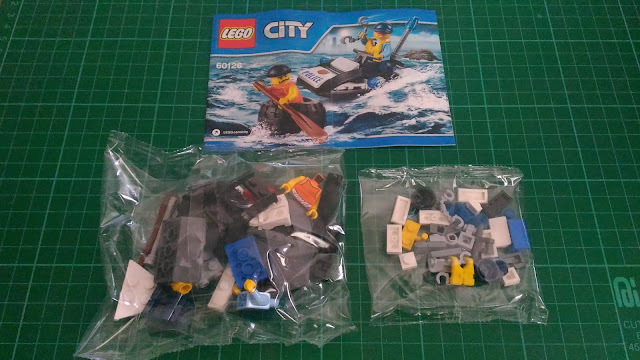 Though Lego already used this concept for a polybag set, I still like what they did here since they gave the jet ski an updated look and modified the escape ride from a wooden crate to an enormous tire, which is really well made. That just goes to show how Lego is dedicated in perfecting their craft, which I think all of us should also strive for. Thanks for reading today's entry. Weekend's just around the corner so y'all just hang in there. 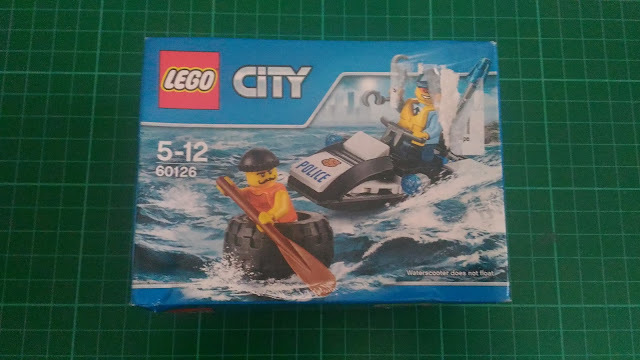 I'll be posting another Lego City set review soon so please watch out for that. By the way, if you want to get updated with Nothing But Brick's latest blog posts, please click and subscribe to the following Facebook and Google+ pages. Thanks! Till next entry! Nothing But Brick's First Giveaway!